we started organizing riding tours and over the years, we added hiking tours and special programs. A lot has changed since then, but some things stayed the same – in Iceland and on our farm. Iceland is certainly expensive, but a few things, such as flights, got cheaper and the offers are far more diverse. We still organize group travels, a cheaper and environmental friendly way to travel. And of course we have interesting tours during the low-season in our program that are at a lower rate! 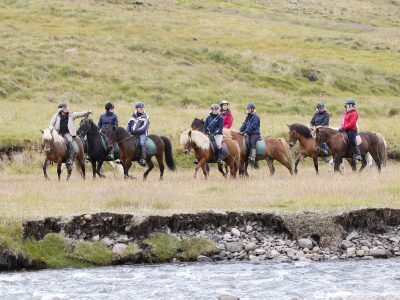 Characteristic for our riding tours are challenging riding ways in diverse and beautiful surroundings, lively and friendly horses and being accompanied by a herd of free running horses. Our trekkingtours cover a wide range – from short hikes in combination with a bus tour to a demanding several day-long highland tour, our program offers something for everybody. 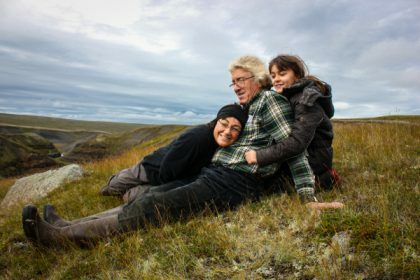 Our local guides, who speak English, often German and of course Icelandic, are professional and experienced. 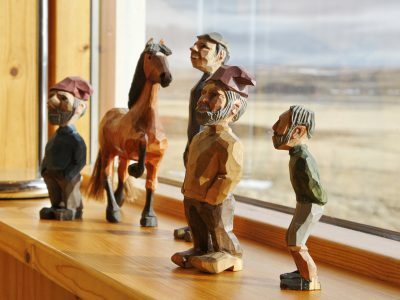 They enjoy introducing their beautiful island to you, while always keeping our focal points in mind: To experience nature, to collect impressions, and, by visting other farms, festivities and our neighbours, to get to know the icelandic community. Of course, we also try to incorporate icelandic traditions into our program, like regularly vistiting the natural hot pools in the area! 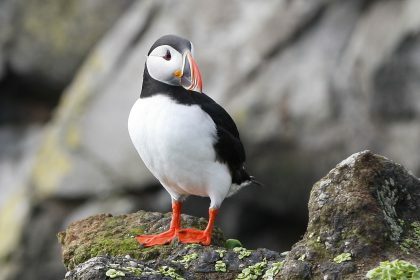 Apart from the famous sightseeing attractions, we try to show you parts of Iceland that are far off the beaten tracks and are not necessarily accessible for everybody. Today, we are a licensed travel- and tourist office and live on a farm, which has been owned by the same family for the past 100 years. We aspire to gentle tourism in harmony with people and nature. Our farm Brekkulækur, heart of all our activities, contains our home, office, stables and a guesthouse where you can contact us all year through. We welcome you to rely on our experience and feel at home in the warm and friendly atmosphere of our house!